Has anyone ever heard of a "MAP MANAGER" Module and if so where it can be downloaded? I have had one in the past on my site but cannot get it to work anymore. 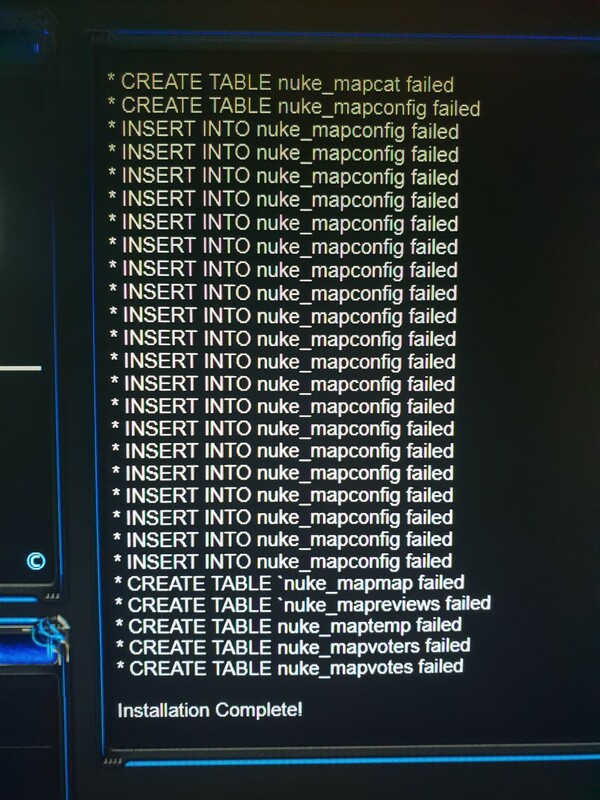 It was ideal for showing images of gameing maps from my server. I remember that module. I had a version that would display a single image of the map, and then a little about it, and if I remember right, there was a place for you to stick in a URL for people to download it. We had that back when we played RTCW and we were using PHPNuke v6.9. Today, I would just create a section in my File_Repoistory just for maps, where I could have several images of the map, a download, description, and pretty much the creators info. The other thing if I remember right was that there was a block that would rotate showing the different map images and the name of each map. I believe that's how it was. your also talking about a system i haven't looked at for over a decade. When I go to installl the module i have the result you can see in the image below. I am guessing that the SQL needs to be updated. As for what needs to be done, I don't know, I would need to see the SQL. It could be as simple as changing a TYPE to ENGINE in the SQL for each SQL table. Also, there could be a bunch of ergi issues within that script that would need to be updated to preg. If you like, send me that module and I will take a look at it for you. Sent it to you via email. Good luck with it. What email did you send it to? Found it. I will take a look at it this week and let you know. Okay, to sum this up, it was a handful of little changes I did to get it to work. The SQL had be changed from TYPE to ENGINE, and I had to update all the ereg_replace and all the eregi with its preg counterparts and the delimiters, which I suspected. So if others have this module, or a module that was made back in the day pre- PHP 5.4/5.6 days, and have the same issues, that is more and likely going to be your issue. eregi was been deprecated since I believe php version 5.3 or 5.4. Might be a good idea to send it to coRpSE so he can take a look and maybe put it in the downloads for others to use. Just a thought.